Are you looking for a clean orlando vacation home that allow guests to bring their loving family pet? Well now you can at the famous "fairytale" pet friendly vacation home rental 3 miles from Disney! 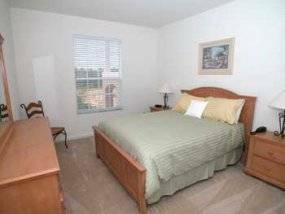 Disney is wonderful and there's no better way to enjoy it than having an affordable, comfortable Orlando vacation rental to return to at the end of the day, leaving behind that Disney high energy atmosphere for the evening. However, Disney isn't all the Orlando area has to offer. This vacation destination is ripe for exploration and adventure that extends far past the wondrous offers of the Disney theme park collection. Who knew magic existed outside of Disney in Orlando? The Outta Control Dinner Show features fabulous dinner entertainment, a delightful mixture of magic and comedy. The food is simple and plentiful and it is a family friendly atmosphere. Orlando loves to laugh, and there's plenty of comedy to be found. The SAK Comedy Lab is fun for adults, and the whole family will enjoy The Hoop-Dee-Doo Revue. Cool classiness is also a part of the other Orlando. The Orlando Shakespeare Theater is not to be missed, offering a variety of plays, including modern interpretations of classic Shakespearian works. The Orange County Regional History Center provides a fascinating tour of Florida history, going back 12,000 years in time. Early native art from before the arrival of Europeans, African American art and numerous other collections can be viewed at the Orlando Museum of Art. Natural beauty is a big part of Orlando beyond Disney. Before leaving your Orlando vacation rental home to explore the beautiful Rock Springs State Park, pack a good lunch. You'll want to spend some time there enjoying the nature trails and the swimming areas. The Tibet-Butler Preserve is another gorgeous spot, far removed from the influence of Disney, it offers an historic, natural view of Orlando. An affordable day trip, Harry P. Leu Gardens has a broad range of colorful plants, including some rare specimens. Orlando has some terrific places to eat, eateries offering far more than theme park fare. Elegant, fine dining at its best is to be had at Victoria and Albert's, which specializes in contemporary cuisine, as well as British, Irish, French and American cuisines. Traditional African dishes can be savored at the Nile Ethiopian Restaurant, and at very reasonable prices. Cedars Restaurant offers Lebanese cuisine, as well as Middle Eastern and vegetarian dishes. The Caribbean One Stop is the place to go for Jamaican food. The local Waffle House is an awesome, no-frills breakfast stop. Johnny's Fillin Station Café, Dixie Belles, and Hot Dog Heaven are all about American comfort foods. And, Sleuths Mystery Dinner Shows is certainly worth visiting, not just for the classic American cuisine, but also for the pure fun of it. There's so much more to Orlando than Disney, so many other things to do and experience. Take the first step into the other Orlando, the one you haven't yet experienced, with Orlando vacation homes rental, rent direct from owner for a better price than can typically found around this tourist destination. Check availability online and begin planning your next Orlando adventure today. Check out nearby Celebration , Davenport , Disney , Eustis , Haines City , Kissimmee , Winter Haven .